Cornelis Marie (Kees or Cees) van Moorsel was born on March the 5th of 1892 in Den Haag as the son of a merchant. The nextdoor-neighbour was architect H.P. Berlage, and it was him who inspired Van Moorsel after primary and secondary school to pursue a career in architecture as well. He was trained as a draftsman and attended the Delft Polytechnic as a spectator and worked at the office of A.J. Kropholler, together with his friend B.J. Koldewey. 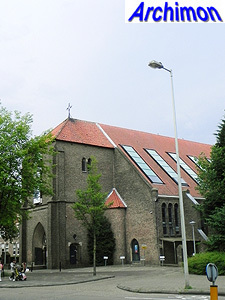 In 1920 Kropholler passed the assignment for his church in Scheveningen to Van Moorsel, who made a new design which was eventually built in 1925. In 1921 Van Moorsel had built his first building, a shop building in Den Haag made entire out of reinforced concrete, the first such building in that city. The result of this assignment, which was probably due to familiy relations with the commissioner who was also named Van Moorsel, was well received in the press, and around that time he started his own architect's office in Den Haag before moving to Voorburg in ca. 1924. Despite the progressive nature of his first building, the influence of Kropholler's work soon made Van Moorsel a Traditionalist. Convinced that a catholic architect had to be a servant of the community and the church, he opposed individualism and materialism in architecture; as a result, his work is often strikingly similar to that of Kropholler and Koldewey. 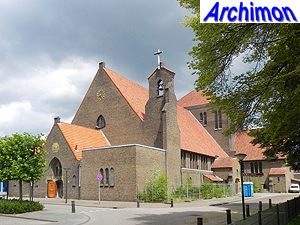 In 1929 Van Moorsel was one of the founders and chief-editor of the R.K. Bouwblad, the architectural magazine of the catholic artists association AKKV. In that function he manifested himself as a spokesman of the ideas of Delft architecture professor M.J. Granpré Molière and as an opponent of most other contemporary architectural styles, especially Expressionism and Functionalism. Besides his editorship, he was also one of the organizers of the AKKV's yearly conferences in Huijbergen and lead a study group in Delft. The combination of these influential functions made him one of the leading members of the Delft School. Despite the concistency in style, at least before World War Two, his work is diverse and includes churches, monasteries and convents, schools, sanatoria and hospitals. He was also involved in the discussion about new regulations for restorations before the outbreak of World War Two. In late 1940, Van Moorsel published his ideas about the reconstruction of the destructed cities Rhenen, Middelburg and Rotterdam, strongly opposing the plans to rebuild Rotterdam in Functionalist fashion. 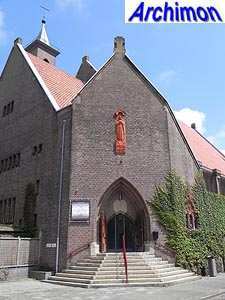 Like several other catholic architects, such as Kropholler, Valk and Koldewey, in the first year of the German occupation Van Moorsel was involved with the fascist movement Nationaal Front until it was dissolved by the Germans in late 1941, in his case as a member of its cultural counsil. 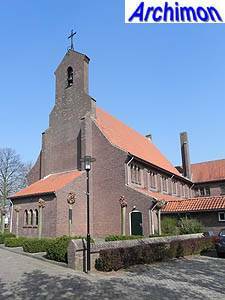 Little is known about the activities of this counsil, except for signing a petition against the planned demolition of the medieval Geertekerk in Utrecht. Furthermore, he wrote several nationalist-toned articles about architecture and national identity for the movement's magazine De Weg. In 1941 he was one of the organizers of an important exposition about brick architecture. Although his activities during the German occupation can be regarded as collaboration, it is unknown if there were ever sanctions held against him. In 1950 Van Moorsel was one of the founding members of Nederlandse Concentratie, a nationalist and conservative political movement which didn't last long. His ideas about architecture had changed; he regarded the Bossche School, the Traditionalist successor of the Delft School, as an anarchronism while even the once dreaded Functionalism became an important influence. In 1959 Van Moorsel was awarded the papal Order of St. Gregory the Great. Van Moorsel died of a heart attack on January the 11th of 1962. 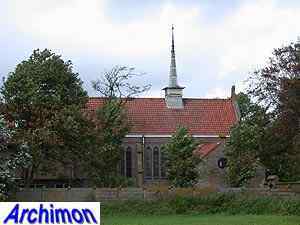 The following is a list of Van Moorsel's churches and related works only. It's incomplete. Church built as part of Kropholler's complex from 1912-1920. Wide three-aisled basilica in Traditionalist style. Not completed. The design from 1927 shows a christocentric church with a wide nave, a high choir and a saddle-back tower at the front. Due to lack of finances, a simplified version without a tower was built. Demolished. Mission church made out of reinforced concrete, designed for the CICM Missionaries (Fathers of Scheut). Unknown if actually build. Aisleless church in Traditionalist style built of irregular pieces of natural stone, with large portal at the front and sadleback tower at the choir. Small aisleless church in Traditionalist style, with small bell-gable at the roof. Rebuilt almost beyond recognition into a house after 2001. Big three-aisled pseudo-basilica in Traditionalist style. Large rectangular crossing-tower containing the choir, bell-gable at the front built instead of the tall tower which was part of the design. Designed in conjunction with B.J. Koldewey. Chapel in Traditionalist style with a wide and low nave with a higher choir and an open tower at the front. Part of a complex, designed in conjunction with B.J. Koldewey. Probably design only due to the outbreak of WW2. Small aisleless church in Traditionalist style, with bell-gable. 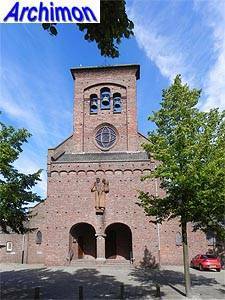 Small basilica in Traditionalist style, designed in conjunction with M. van Beek. The church was intended to get a tower, but instead the temporary facade remained. Addition of a short tower to A.J. Kropholler's church from 1922. 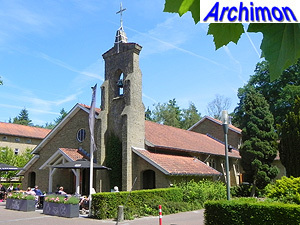 Church damaged by bombs in 1943 and after the war restored by Van Moorsel. Basilica in Traditionalist style, with bell-gable. Not built, no further details. Large open-air church, consisting of a gallery around a field. Basilica in modern style, combining Traditionalist and Functionalist elements.